Join us for T.G.I.F - a UON Singapore Alumni Networking Night! Hosted by the Singapore Alumni Network, the evening will bring together alumni from across the city for the first get together of the year. 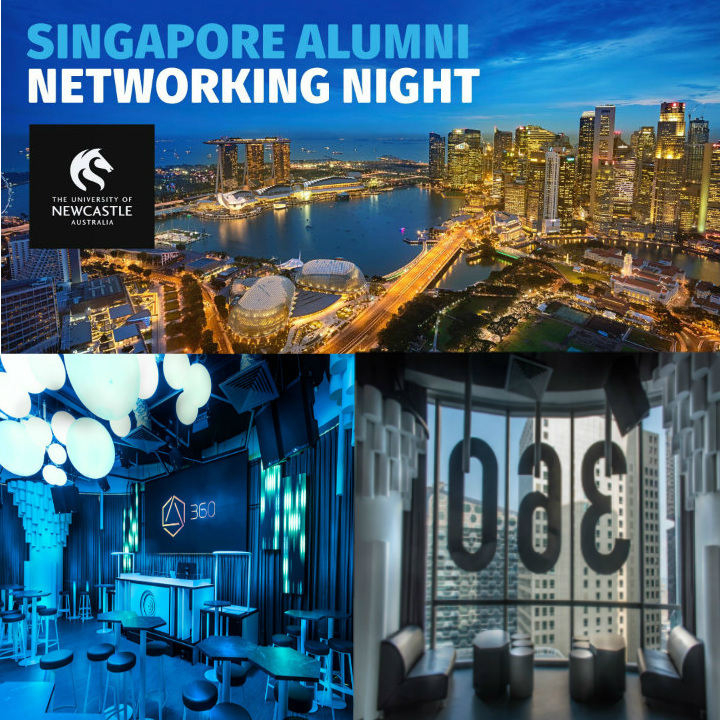 Catch up with classmates, meet new friends and hear from our guest speakers over food and drinks at Singapore's only 360 degree bar! Tickets are $20 each and this includes free flow drinks* and sumptuous 7-course Halal Buffet. *A minimum age of 21 applies for alcohol consumption. All UON alumni are welcome so please share this invitation with your friends and networks!